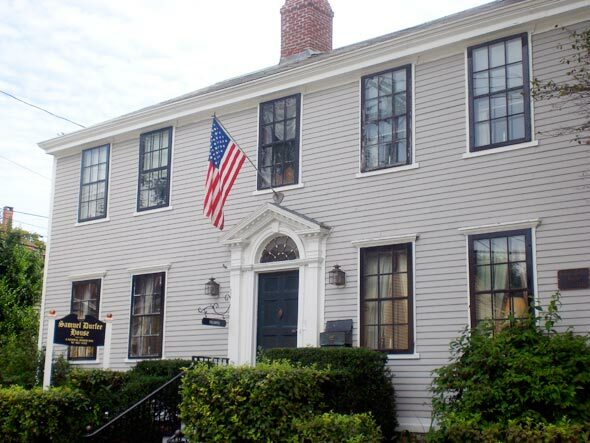 The Samuel Durfee House was built in 1803 and our guests enjoy the experience of staying in an historic building, yet with the comfort and convenience of modern amenities. Each of our uniquely decorated guest rooms offers plush robes, triple sheeting, iPod/iPad docking alarms, television, small fridge, complimentary WIFI and parking. A complimentary gourmet breakfast is served daily. After a day of touring Newport, we welcome you to relax with coffee, tea and afternoon baked treats and snacks. The Samuel Durfee House was built by an English banker, Samuel Durfee. The house is Federal Period, characterized by the unique molding, paneled walls, wide first floor floorboards, and fan window above the front door. The original twin parlors are now used as a guest sitting room and dining room. The inn had been a private residence until bought by the de Pinho family in November 1998, with the intention of opening it as an elegant bed and breakfast inn. When renovating the inn, consideration was taken to retain its historic character while being updated with modern amenities. At the Samuel Durfee House, our goal is to create a relaxing and enjoyable experience for you! Start of your day with our delicious complimentary breakfast which is served in our dining room, and patio in the warmer months. After a day of enjoying the sites of Newport, return to the Samuel Durfee House for complimentary afternoon refreshments which are served daily in our guest sitting room. 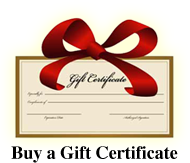 We offer coffee and tea to go along with delicious home baked cookies or brownies. In the warmer months, guests often take their treat to relax on the patio. Michael and Heather de Pinho have been welcoming guests to the Samuel Durfee House since the inn opened in August 1999. Both originally from Maryland, Michael grew up vacationing in Newport and shared his love of the area with Heather. They both enjoyed entertaining and decided to merge their passion for entertaining and of Newport together when they opened the Samuel Durfee House. Michael and Heather know the area well and enjoy sharing their love of Newport with guests. In 2001, they welcomed their son, Jaxson, who also has great knowledge of the area and assists with guests and breakfast. We have many environmentally friendly practices at the Samuel Durfee House. A few of the many ways we help the environment is through the use of our water barrels for watering plants, our recycling program, earth friendly toiletries, and energy efficient fixtures and appliances. Off-street parking is provided, one space per room. A full gourmet breakfast is served each morning normally between 8:45 & 9:45 with expanded hours in the summer. Coffee and tea are available at 7:30 am. Afternoon refreshments are served each day between 3 and 6 pm. Tea, coffee, snacks with a treat (typically cookies or brownies) are provided. Complimentary WI-FI is available, throughout the inn. The Samuel Durfee House is air conditioned in the summer months. Check-in is from 2 to 6 PM. Advance arrangements must be made for check-ins after 6 PM. Check-out is by 11am. In accordance with state fire law, there is no smoking allowed in the Samuel Durfee House and the use of candles is not permitted in guest bedrooms. Children 8 and over are welcome. All of our guest rooms can only accommodate two adults. The Doris Duke Suite can accommodate up to 4 people with advance notice, there is an additional fee per person per night over 2 people. The Harrison Suite can accommodate two adults and one child age 8-17, for an additional fee. To guarantee your reservation, a 50% or 1 night deposit (whichever is higher), is required. A refund less 10% deposit processing fee per room cancelled will be issued if cancelled 21 days or more in advance of the date of arrival. If cancelled less than 21 days in advance a refund will only be given if we are able to rebook the entire cost of the reservation, the 10% deposit processing fee will apply. There is no refund for early departures. We do not allow groups to book more than two rooms without prior consent from the innkeepers. If you are interested in booking the entire inn, please contact us. We only allow whole house rentals from November through April.